To pursue excellence in scientific and technical education and contribute towards the empowerment of india by tapping, nurturing and harnessing of latent talents. To develop intellectually capable and imaginatively gifted professionals, best suited for the era of converting technologies and skills. 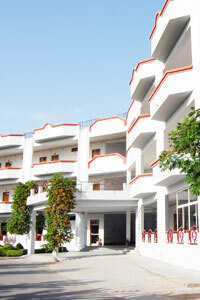 ShriRam Group of Colleges (SRGOC) is a leading organization providing excellent technical education in this region. The group is functioning under patronage of its promoting body i.e. Dayal Seva Evam Shiksha Samiti,Morena. It consists of three colleges namely ShriRam College of Engineering & Management (SRCEM); ShriRam Institute of Information Technology (SRIIT) and ShriRam College of Pharmacy (SRCP). All the institutes of the Group are approved by All India Council for Technical Education (AICTE), New Delhi and affiliated to Rajiv Gandhi Proudyogiki Vishwavidyalaya (RGPV), Bhopal,( the Technological University of Madhya Pradesh) for its Engineering Programmes and with Jiwaji University,Gwalior for MBA Programme. The SRCP is duly approved by Pharmacy Council of India (PCI),New Delhi. All the three institutes are running in separate but adjacent campus at National Expressway, popularly known as AB Road, Banmore (Near Gwalior). 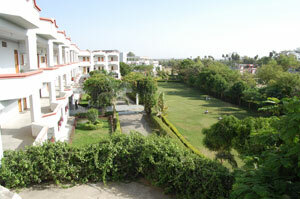 The campus is surrounded by lush green lawns perfectly conductive to the teaching-learning process in healthy atmosphere. The promoting body of the Group is Dayal Seva Evam Shiksha Samiti, Morena. The Society was registered in the year 1998 with the objectives of spreading higher technical education in the Gwalior and Chambal regions besides many other objectives for up-gradation of society and welfare of the poor and deprived people. The society is functioning under the patronage of its Hon’ble Chairman Shri R.S. Sharma, a retired Police Officer, holding President’s Gold Medal and Gallantry Award for his bravery and meritorious services. He is being assisted by Mr. Harendra Sharma and Mr. Jitendra Sharma in capacities as Secretary and Vice Chairman respectively. Besides its main objectives of spreading higher technical education, the Society is engaged in various other activities of social welfare in the rural area of the region such as free eye checkup camps, free health checkup camps, free computer education programmes and many other similar activities.